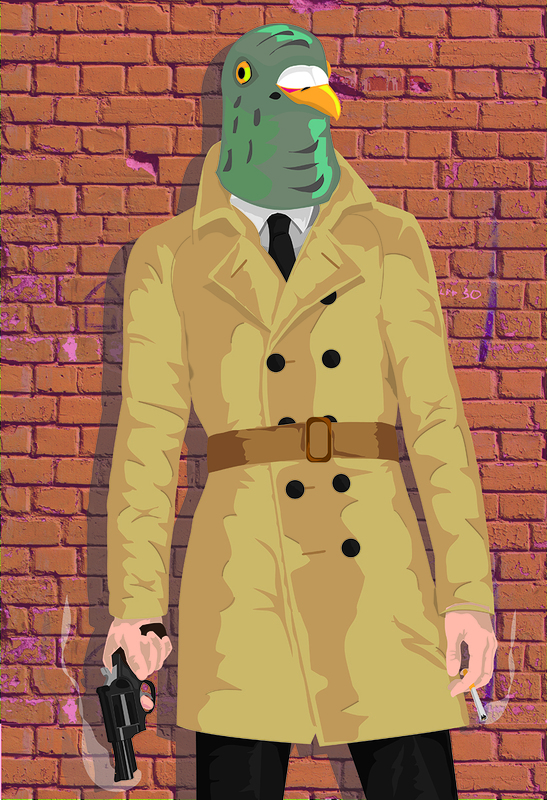 Pigeonman is a poster featuring a sharply dressed bird-faced vigilante. The base image on the left was created in Adobe Illustrator. The image with the text and blood splatters is the digital version of the final, a printed poster onto which the red content was screenprinted.